→Confidence vs. Self Esteem – What’s the Difference? Confidence vs. Self Esteem – What’s the Difference? Trying to define self confidence is actually quite difficult. You might recognize it in others. You will certainly recognize over confidence and probably a lack of confidence. But what exactly is this elusive yet desired quality we call ‘self confidence’? All too often Confidence and Self-Esteem are lumped together as if they are one and the same thing. If you Google either one I guarantee you will find reference to the other. So let’s clear up some common misconceptions about the two states. Whilst they may be related they are not the same and we will tackle them as different traits. If when you have read more about confidence, here or elsewhere, you then feel you actually need to improve your self-esteem then please hop over to the self-esteem category. • Low self esteem is best described as an unhealthy feeling about oneself. When you feel discouraged about your appearance, life or self-worth, then your self-esteem is low. If you find yourself hiding behind your appearance; if you find yourself dressing in clothing that hide your appearance, if you have the feeling or think, that everyone else is looking down on you or never notices you except to scorn you, if your image of yourself is way below your image of those around you then you are most likely battling with low self esteem. And it has very little to do with self confidence. 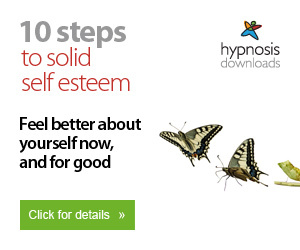 Whilst a good self esteem is normally a prerequisite to self confidence it is not essential. And there are instance where people are extremely confident of their ability to do a good job or deliver something and yet they suffer from low self esteem. The ultimate penalty for low self esteem could be suicide. A lack of confidence, at worst, means you might miss out on something because you do not feel you can do it. A major difference! • Self Confidence on the other hand is belief in yourself and your capabilities. Self confidence is your belief that you have the ability to do almost anything you want to do. It is a feeling that comes from deep within oneself. It comes from trusting oneself and the knowledge that you will do whatever it takes to achieve whatever it is that you want. It is that certainty that come from knowing that whatever you are faced with you will find a way to deal with it. Part of self confidence is committing to take whatever action is required. The confident person is not discouraged by a set back or failure. They learn from it and take more, sometimes different action. Improving self confidence will generally improve your enjoyment of all aspects of your life. Improving self confidence will go a long way to helping you get want you want and realize your dreams. It is worth the effort.